…so K and I decided to wander around Kensington Gardens to enjoy the fresh air, the vibrant colors and the extra hour of daylight. 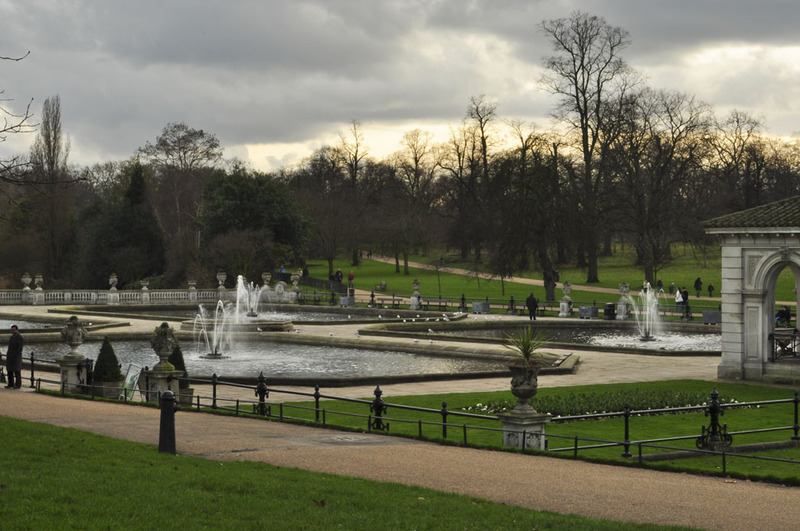 Once part of Hyde Park, Kensington Gardens became the private gardens to Kensington Palace in the late 1600s. Over time, the Gardens opened to the public and the 275 acres have become a popular retreat for many Londoners and visitors alike. The avenues of trees, abundant flower beds and the serene surroundings offer the same relaxing vibe as the other wonderful green spaces in this city do (see Hyde Park, Hampstead Heath and Battersea Park). It’s a great place to just be. 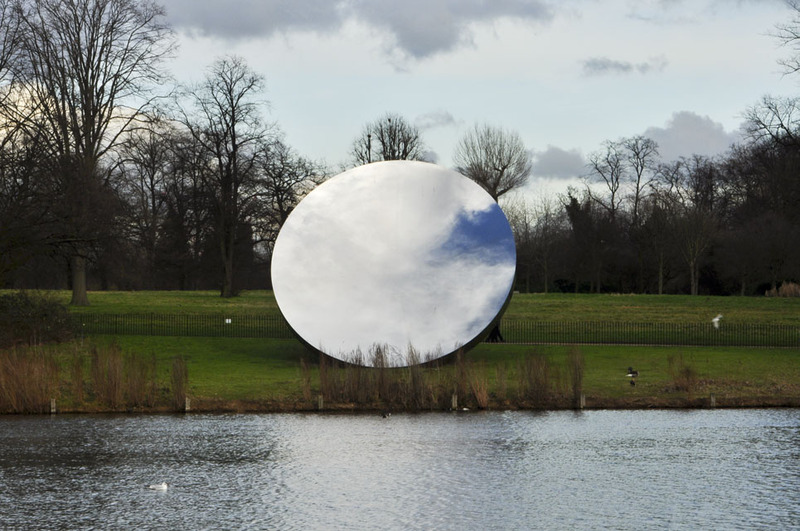 Sky Mirror: Sculpture, Anish Kapoor, has several of his stainless steel works on display throughout the park—offering a strong contrast to the natural world that surrounds them. 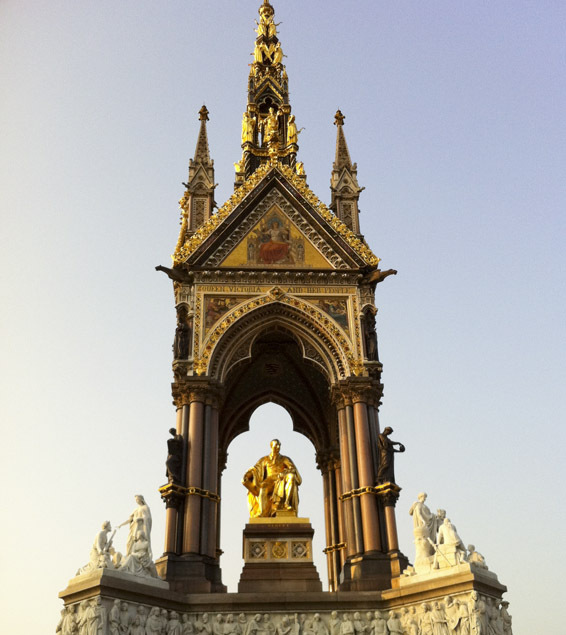 Prince Albert Memorial: (Husband of Queen Victoria) The memorial symbolizes the Prince’s passions and interests, especially in the arts. It is known as one of London’s most ornate monuments. The Italian Gardens: As Prince Albert’s brainchild, these elaborate water gardens were created in 1860-1. 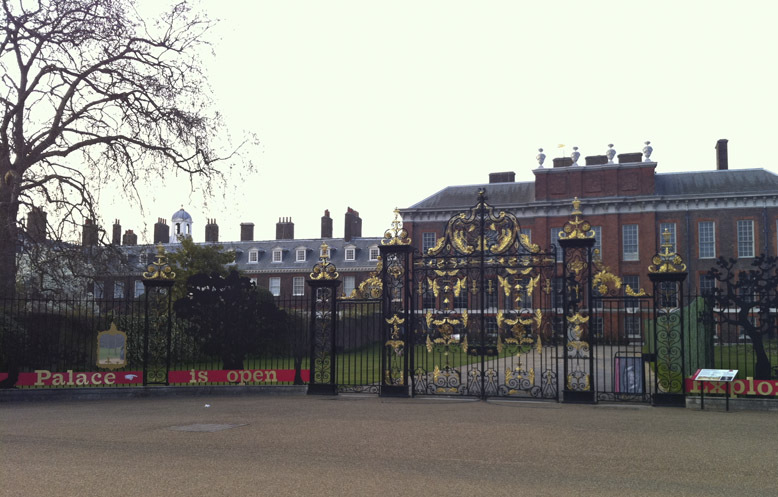 Kensington Palace: Located on the western edge of the Gardens, the palace was home to Princess Diana and several monarchs throughout the years. The palace still functions as a royal residence but also welcomes visitors to tour its many rooms. 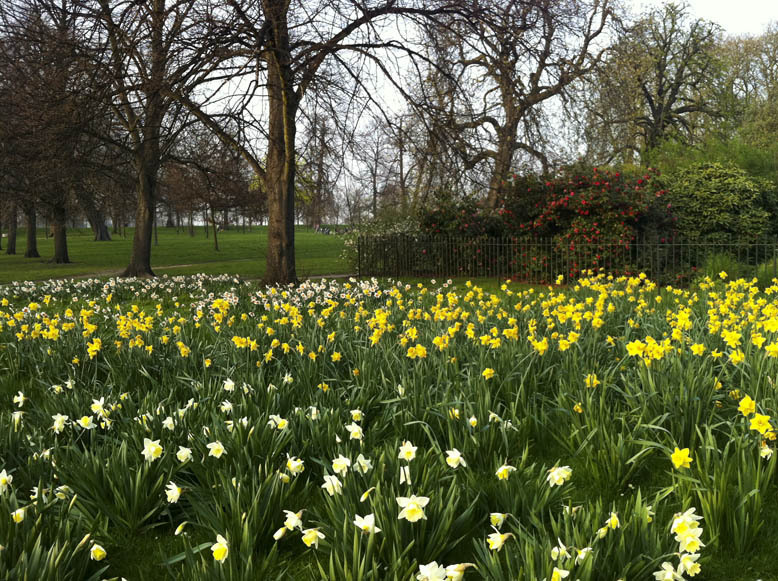 Kensington Gardens provided the perfect place for us to ring in the new season…finally, it’s spring. 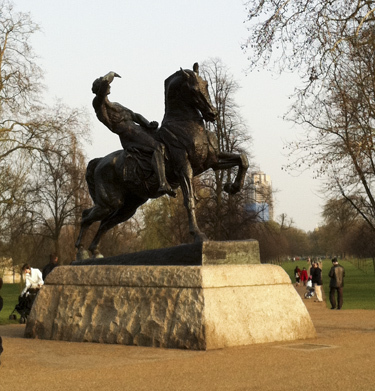 This entry was posted in The Sights and tagged Kensington Gardens, Kensington Palace, Physical Energy Statue, Prince Albert Memorial. Bookmark the permalink. 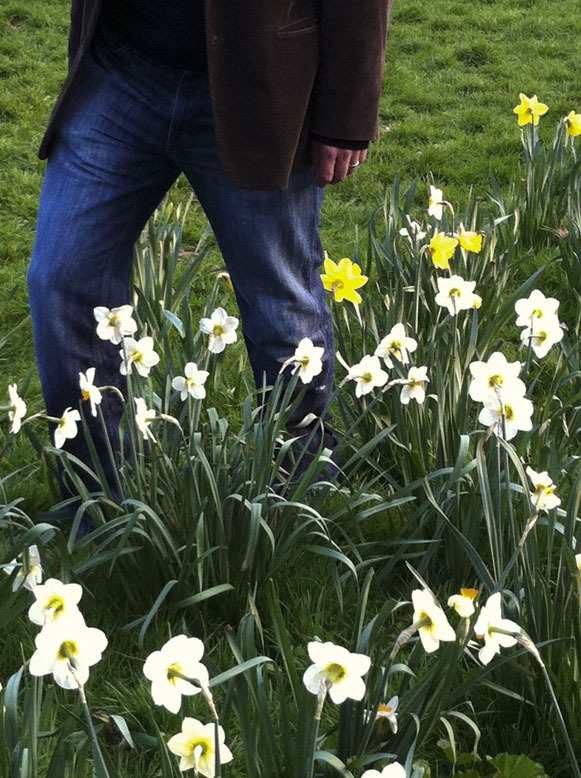 These pictures with daffodils blooming in the Kensington Gardens makes us want to come across the pond and enjoy a bit of spring as we certainly have not seen that here in Connecticut yet. Loved the picture of Kensington Palace, so glad you both are taking in all the historic and cultural riches of London and its environs. Wish you could both join us… The trees and flowers smell so good.